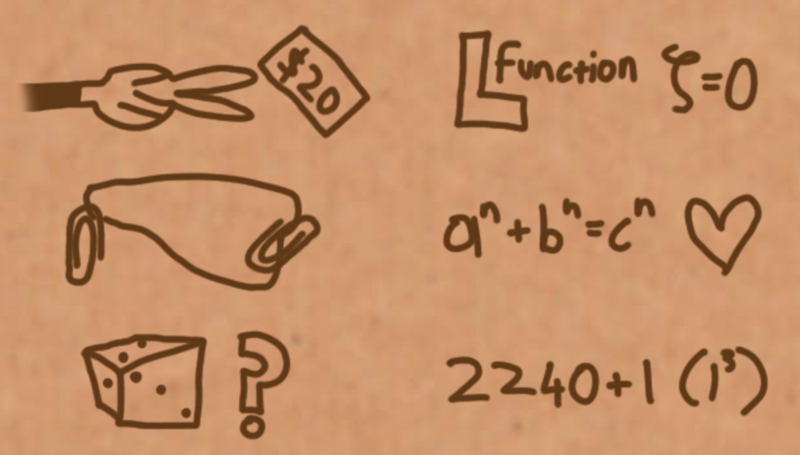 As I've been working on exhibit installations and new museum building (re)opening at The Discovery Museums in Acton, MA, I've been thinking about how to present and interpret different bits of content -- like MATH. Lots of people claim to "hate" math topics, but I've recently fallen down the rabbit hole of Numberphile, a great math-oriented website and related YouTube channel filled with all sorts of clever ideas that should be of interest to educators and exhibit designers alike. Follow the money. 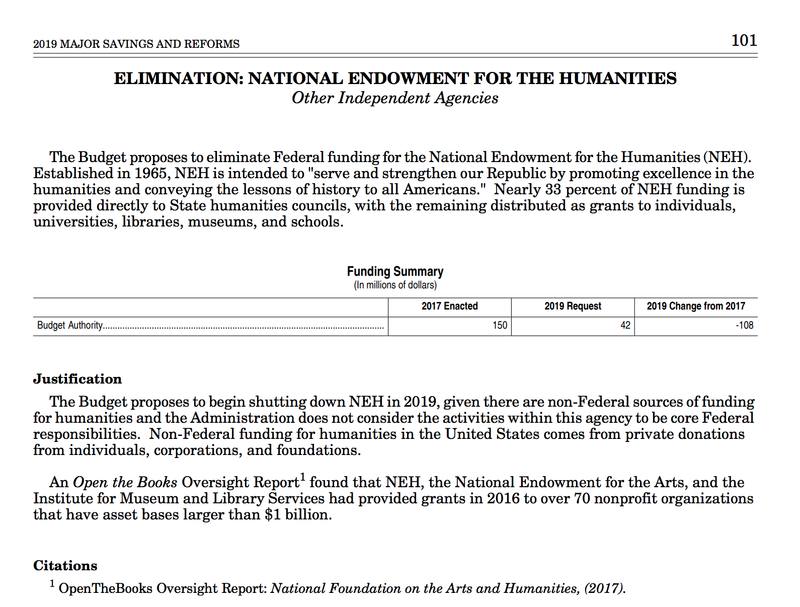 As with any budget, you can tell a lot about the interests and priorities of the White House by looking at their latest proposed budget. 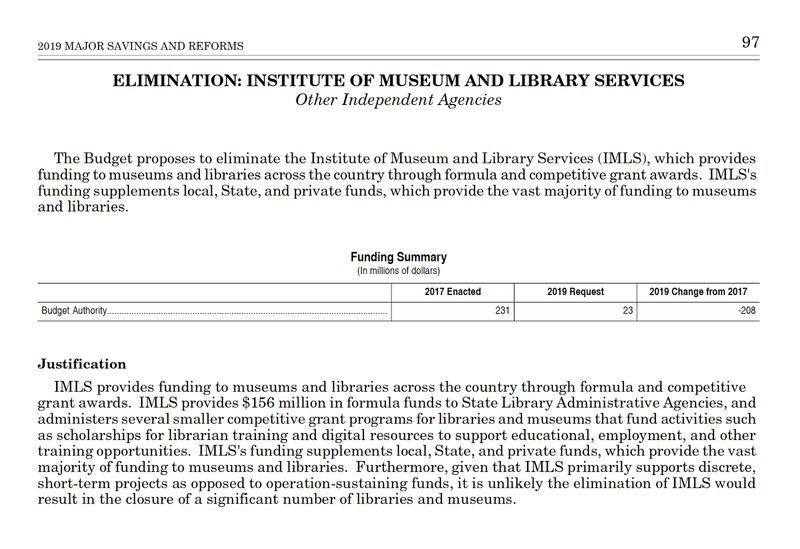 While lawmakers are unlikely to enact most of Trump's proposal, here’s a direct look at some of the pages from the FY 2019 Budget that proposes to eliminate the primary government agencies that fund museums and cultural agencies. 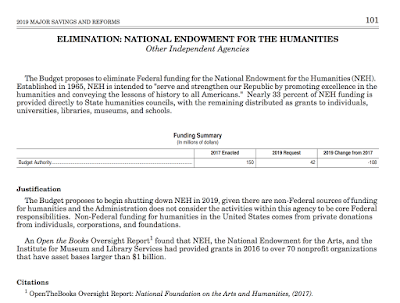 The proposed FY 2019 Budget also calls for the elimination of PBS and the NASA Office of Education, as well as agencies like the National Wildlife Refuge Fund and the Chemical Safety Board. 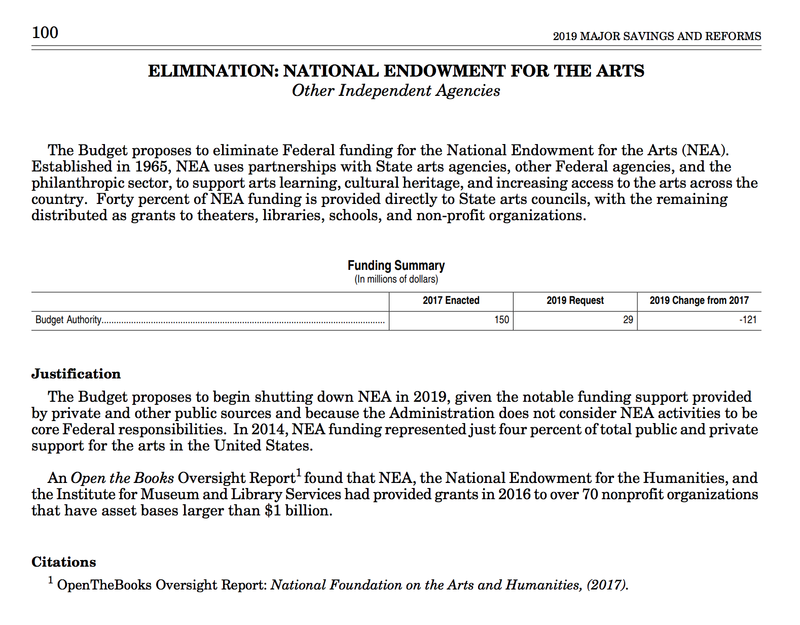 Just because the current President is a short-fingered vulgarian doesn't mean that the United States government should not support arts, culture, and science. 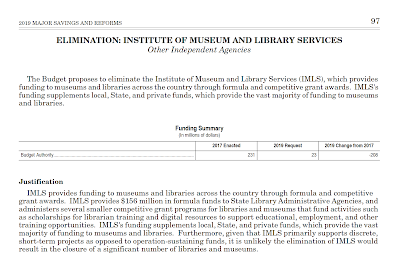 Please contact your Representatives and Senators in Washington to tell them that a great country does not eliminate support for agencies like IMLS, NEA, NEH, and PBS. What If You Evaluated EVERY Part Of Your Museum Every Day? What if you evaluated EVERY part of your museum every day? That was the question I asked myself after reading this NewYorker magazine article about the Finnish company HappyOrNot. 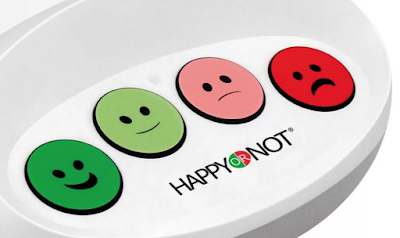 These "frictionless" 4-button terminals let people leave feedback without even breaking stride. 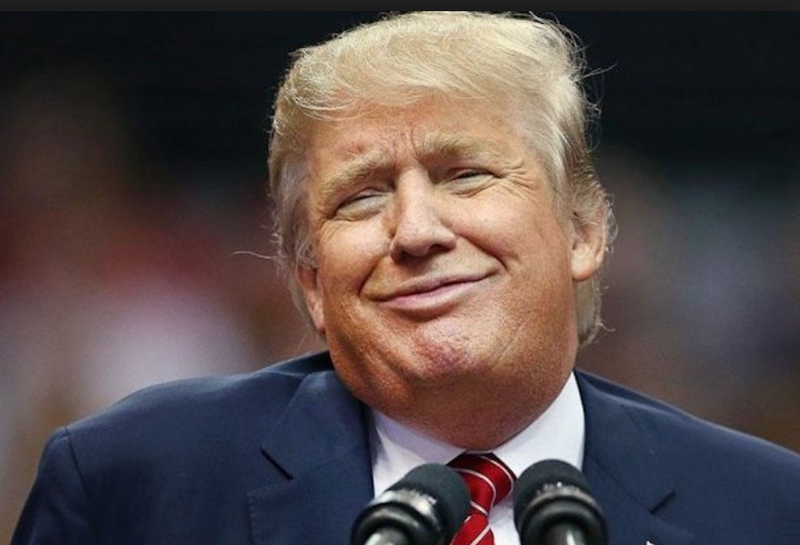 And HappyOrNot's terminals have already been installed in more than a hundred countries and have registered more than six hundred million responses --- in airports, gas stations, shoe stores, you name it. While this happy/sad button approach seems incredibly simple (if not downright simplistic) the article is filled with direct business changes and improvements that were made due to the data generated by the HappyOrNot terminals. And again it makes me wonder what would happen to a museum if you scattered these 4-button wonders throughout your exhibit galleries and near your gift shop, your bathrooms, your cafe? And if not HappyOrNot terminals how can cultural institutions generate more real-time visitor feedback to improve visitor satisfaction? 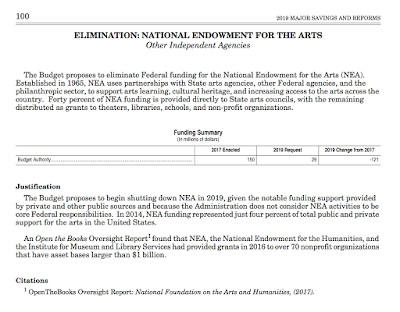 Does this seem like an interesting idea or a hare-brained pipe dream? Are there any museums currently using HappyOrNot terminals.? Give us YOUR feedback in the Comments Section below!